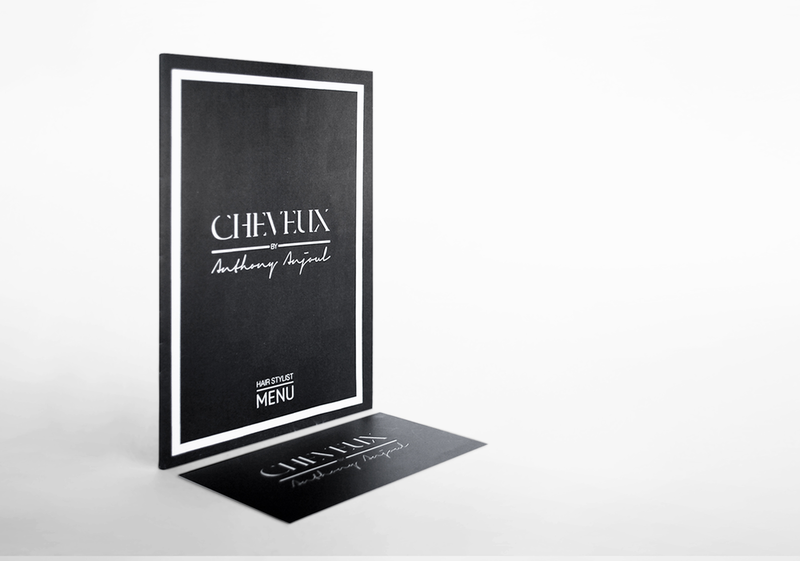 Cheveux by Anthony Anjoul branding package, was designed to carry and express their services. The design was chic and upmarket to reflect the interior space. Website was simple, clean and easy to manoeuvre to so clients can identify with it immediately. The brochure has a small compact look, easy to slip into bag/pocket and opened to A4 Size for easy to read view. The business cards were designed to compliment the brochure and were finished with identical charcoal, black and white tones with a very personal style font.